CARSON, Calif. /California Newswire/ — Frisbee(R) Sonic, the new “square” Frisbee by Wham-O, has been added to the Fatherly list of 100 Best New Toys of 2018. The designations, compiled by a team of editors, dads and kids, honor the manufacturers who harness technological advancements, imagination and product design to churn out play products that inform, inspire, develop and entertain. Wham-O reinvented the way Frisbee(R) and all discs will fly in the future with the introduction of the Frisbee(R) Sonic, available in red or neon green for $16.99 on Amazon.com. 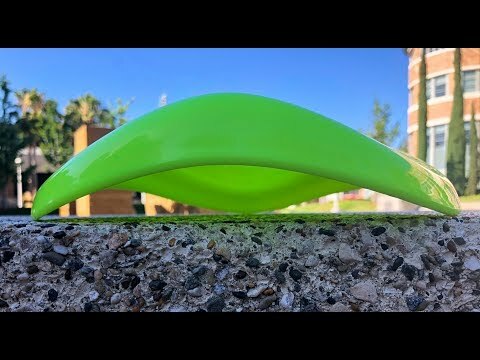 “We are thrilled to see Frisbee Sonic on this list of best new toys, each of which has been deemed innovative, educational or just really fun,” said Olyvia Pronin, marketing director at Wham-O, the California toy company that has been producing some of the most trusted toys in the market for 70 years. Frisbee(R) Sonic by Wham-O is the new revolutionary flying disc that has a perfect snakelike sine wave, allowing for an easy grip. 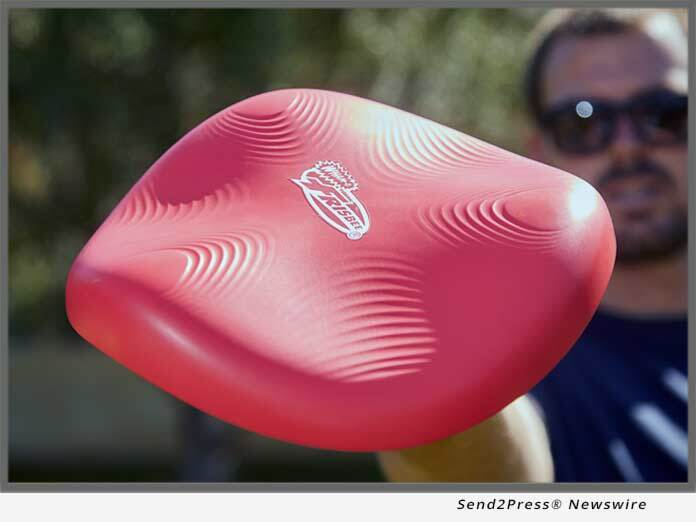 The shape also creates aerodynamic pockets that make throwing and catching the Frisbee(R) easier than any flying disc in the market. Even if it’s thrown at a slight angle, the Frisbee(R) Sonic will self-correct and fly straight because of its innovative design. And with only three small points ever touching ground, the Frisbee(R) Sonic is easier to pick up and tends to get less damaged over time. With 70 years of cultural and commercial significance, and with a lineup of consumer products that appeal to people of all ages, the Wham-O brand remains synonymous with fun, play and sport. The company manufactures and markets some of the most recognizable consumer brands in the world today, from classics like Frisbee discs, Slip ‘N Slide water slides and Hula Hoop toy hoops, to outdoor brands like Morey, Boogie body boards, Snow Boogie sleds and BZ Pro Boards. Wham-O is a company and lifestyle brand that is steeped in the American cultural tradition of classic, well made toys. They continue their success and entrepreneurial spirit by building smart partnerships, targeting partners aligned with their mission of bringing new products to market that promote an ongoing commitment to the highest-quality, and to bringing families, friends, and teammates together during every season of the year – indoors and out. For more information, visit https://wham-o.com/ and follow @WhamOOfficial on LinkedIn, Facebook and Instagram for the latest news on the company’s world-class brands.